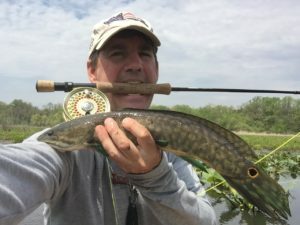 With nicknames like mudfish and dogfish, the bowfin gets short changed in the PR department. They are strong fighters. They can grow to an impressive size. They are receptive to a variety of presentations. What is often overlooked is an attractive, actually colorful appearance. 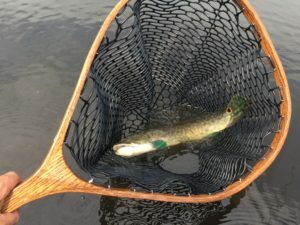 This small male Bowfin (Amia calva) came to my Northkill net as #11 on the 2018 Fly Fishing List. 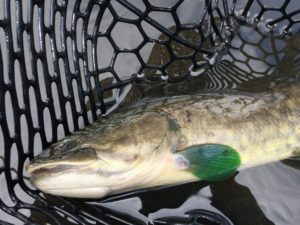 Considered a handsome fish year round by some, the beauty of the bowfin peaks during the spring spawning season. 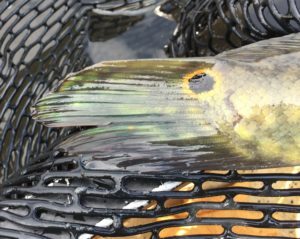 The fins of the male bowfin take on a deep jade color that almost looks artificial. Green highlights appear on the tail, and the orange rim of the ocellus glows like a beacon. 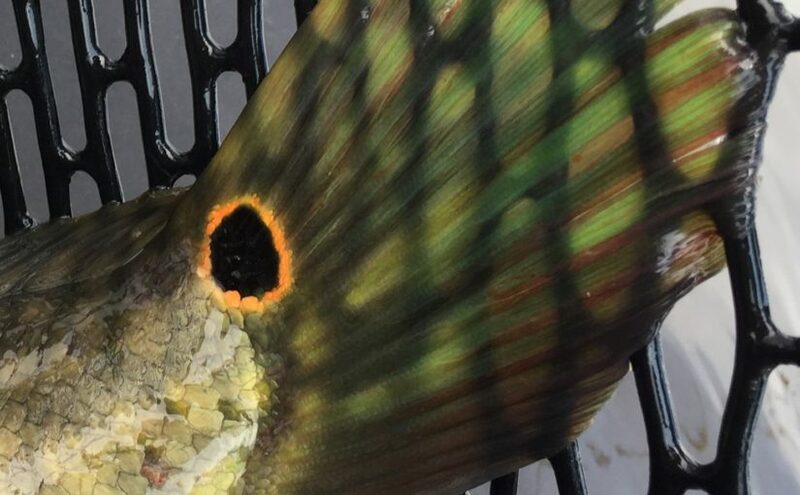 To compliment those bright colors, the reticulated pattern intensifies down the sides, tail, and dorsal fin. That’s a good looking fish! 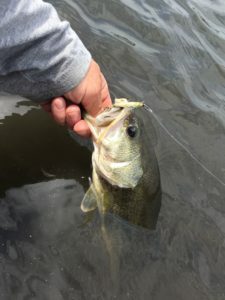 A side benefit to bowfin fishing is the frequent bycatch of largemouth bass.